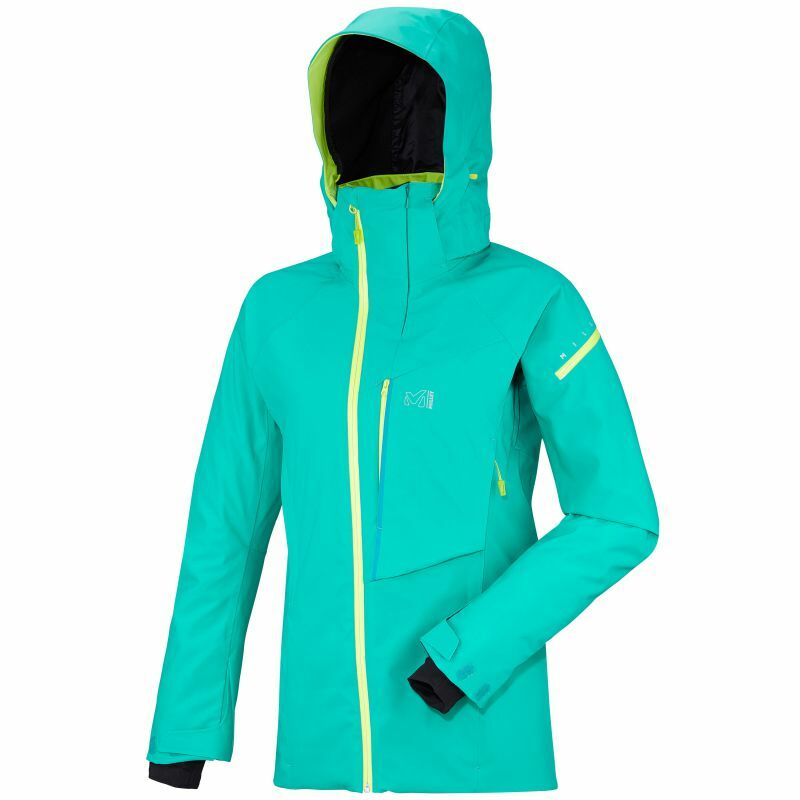 Femininity and commitment, this freeride ski jacket stretch respects the elegance of the active woman. It offers total protection to the elements with its membrane DRYEDGE 2L, breathable waterproof covering and volume, a little longer. Insulating PRIMALOFT wadding made of wool and plant down DRY MICROLOFT, provides a very good heat, targeted areas for maximum breathability. Stealth invisible zips, taped closures and colored lycra sleeves with thumb loops, the precise finishing and ideally one has enough to take all the necessary accessories. The connection option with the BIG STRETCH pants or 7/24 provides protection similar to back combinations.